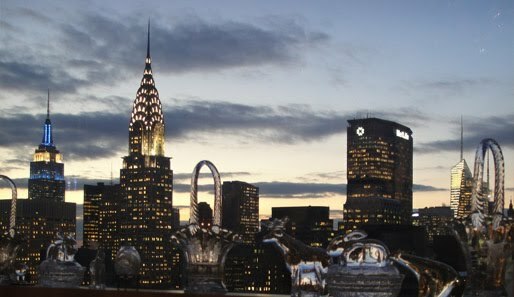 This is a perfect place to see and to be seen restaurant (it's in Central Park South) with good "home-type" Italian food. This just opened this year located just west of Fifth Avenue where many tourists flock to see Central Park and walk around shopping. It is definitely a place to be seen and to see who may walk by or may be in the restaurant. Above, we were served with breads as you have decided to stay for lunch. 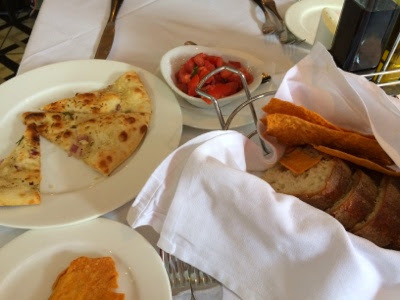 A basket of assorted breads and herbed thin bread plus crisp cracker-type bread were paired with a little bowl if chopped seasoned tomatoes. I guess it's to make bruschetta with the breads. Their vongole is an excellent choice. 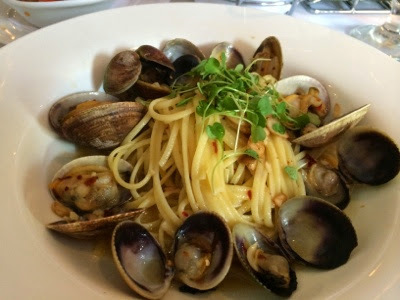 The clams were fresh and the pasta was cooked al dente. Authentically prepared the Italian way, one may opt for the tomato kind if you want. 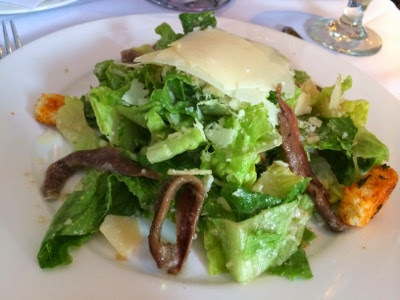 Their Ceasar Salad is generously prepared with the Parmesan cheese and anchovies which we requested! We shared the salad. This was my half. So far, it has been a very good experience for me. They are new in NYC and I welcome them! Villagio On the Park New York, NY 40 Central Park South New York, NY 10019. Tel: (212) 369-4000.